This Sterling Silver 38.1 mm Rope Edge Coin Bezel is perfect for the Silver Morgan and Peace Dollar Coins. 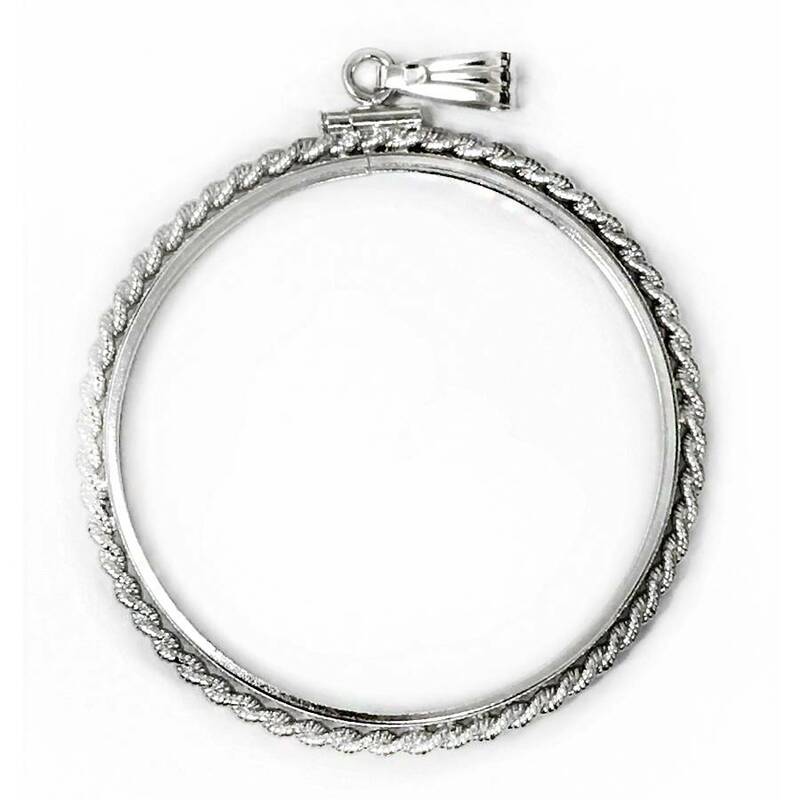 The design shows a rope braided edge that enhances the natural beauty of any coin. The bezel allows for complete removal or replacement without damage to the coin. With this purchase, you earn 29 Bullionaire Bucks 29 BB = $0.03. We currently have 15 of this item in stock. For every $1 spend, you will earn 1 Bullionaire Buck which is equivalent to $0.001 off a future purchase. 29 BB = $0.03.